Croatia's Elaphiti Islands drift dreamily into the Adriatic near Dubrovnik. Small enough that only a few are inhabited, they're awash with Mediterranean pine, pure clear waters and silence. You can visit and stay on a few. 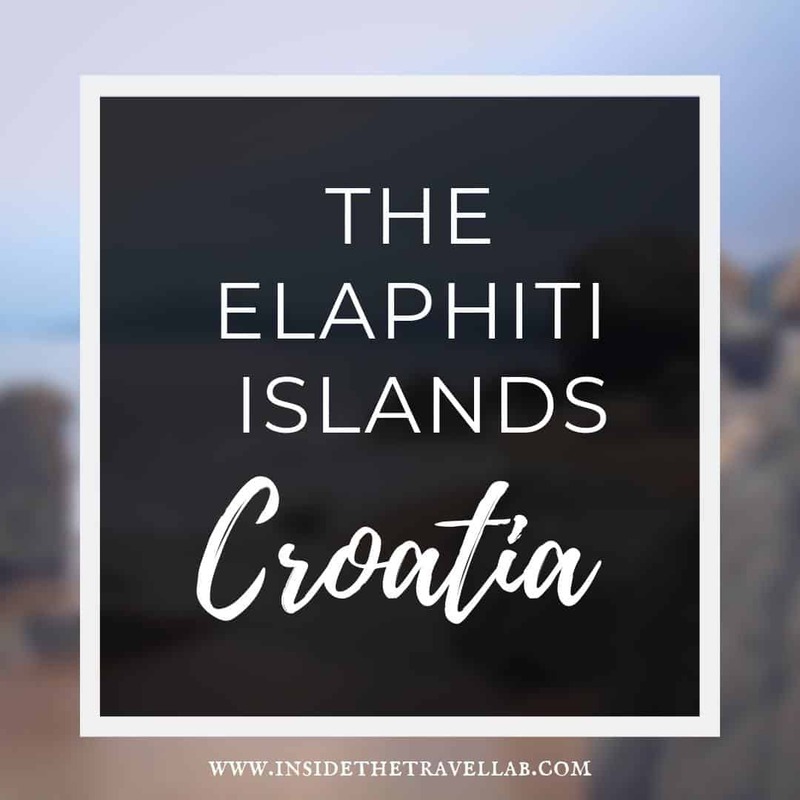 Find our guide to the Elaphiti (sometimes spelled Elafiti) islands here. Disclosure - I travelled to Lopud Island as part of a paid project between Inside the Travel Lab and the Lafodia Sea Resort. As ever, as always, I kept the right to write what I like. Otherwise, what is the point? Life is just too short. There's a place in the Elaphiti Islands where weather-worn netting clings to a rough sea wall. Under the bright, white sun, the orange bleaches its web against rock, while in the distance, the heave and sigh, the ebb and flow, the unhurried rhythm of the ocean continues to pulse in Mediterranean blue. I hear birdsong overhead, the lap and splash of the waves and the abrasion of knotted rope as my captain - and sailor for the day - secures our sturdy steed in the shelter of the latest harbour. The sea is playing games with us, as we skip and flip around the Elaphiti archipelago, taunting us with its jaunty waves and urging us to change direction. Less than an hour from Dubrovnik, when I first arrived on Lopud Island, the carless isle seemed small, a natural escape from intoxicating Rome. Fast forward a few days and Lopud had grown larger. Its hotel and spa, its churches, a beach, the day trippers from Dubrovnik. Now they all stood stark against the contrast with these even quieter islands. I'm on the "Three Island Cruise" from Lafodia, although unusually choppy waters have meant that we need to slim it down to two. Luckily, for one, my guide Matija knows the waters well - and aside from a short stint on the open sea, it's easy to forget that the elements are not playing along. Luckily, for two, I have the boat to myself, a luxury in all manner of ways. What becomes apparent within moments is that Matija knows everyone. What takes a little longer to spot is that everyone doesn't include all that many people. The streets and harbours are quiet but not lifeless. The restaurants serve lemonade and strong coffee at a Sicilian tempo, in tune with the sun. We see fishing boats and walking tracks, sheltered in olive and pine. We see lapping waves, and rocky shorelines. But we don't see many people. After a few hours have passed, it jolts all the senses to arrive in a harbour which holds two people at once, then three. It's a stop that offers a stumble into the past, a place where cobwebbed machinery throbs in the indoor gloom. Matija shows me what he calls "under the bell" cooking: a traditional method that involves building a fire on a brick surface, clearing it away, placing food on the cleared space, then a metallic bell, then the glowing embers on top of that. Designed to deal with meat, potatoes and fish, this method provides heat from all around. Next up is the region's liquid gold: the peppery punch that is fresh olive oil. Over 750 000 olive trees grow in the Dubrovnik-Neretva county, with over 40 different types. And for centuries, people have known how to harvest them. A metallic press sits haunched above circles of matted rope. Below them, a stone ridge that drains to an olive oil collection chamber, a process from another time. 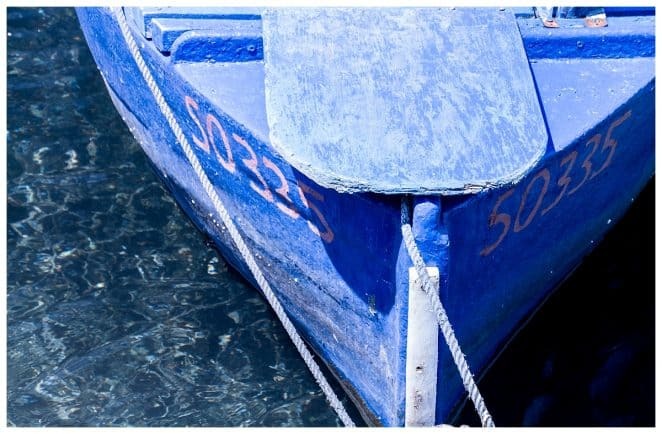 Back on the boat, it's time to make the most of my sprint through the waves with a dip in that sweet Mediterranean blue. Matija navigates to a secluded cove, all clear-glass water against creamy-cliffed rock. He urges me to jump in. To embrace this unspoilt stretch of Croatian coast, the peace, the quiet solitude. Only as I'm mid-air do I stop to wonder why he isn't joining me. As my body plunges beneath the blue, I instantly realise why. Beautiful it may be. But in early May, it's shockingly cold. I surface, breathless, speechless, awake, alive, maybe even blue. "How is it?" he calls, but he's laughing, he already knows the answer. 'Not even the British go swimming at this time of year," he adds. "Only the Scandinavians." I cast my mind back to the Nordic sub-zero experience that follows a red hot sauna and smile to myself. "It's not so bad!" I cry. "As long as you keep on moving..."
And, truly, it isn't. The colours ripple, the shapes mesmerise. The cool feels refreshing beneath the piercing sun in the early summer sky. "But everyone swims here later in the summer," he tells me as I clamber back on board, engulfed in towel and pink rosy skin. And the beauty of this secluded spot, is that in the Elaphiti Islands, even when everyone's doing something, you still have the place to yourself. 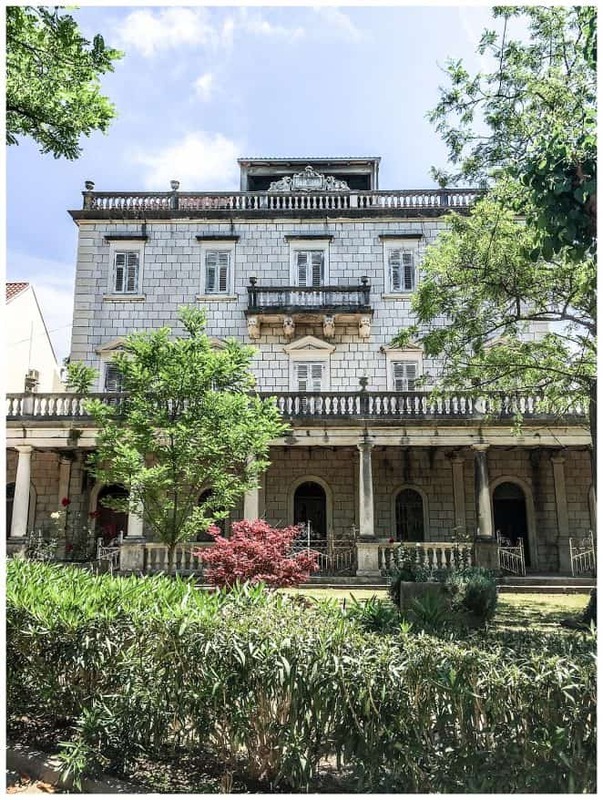 The Lafodia Sea Resort offers a luxurious place to stay on Lopud Island with easy access to the beautiful Croatian coast. 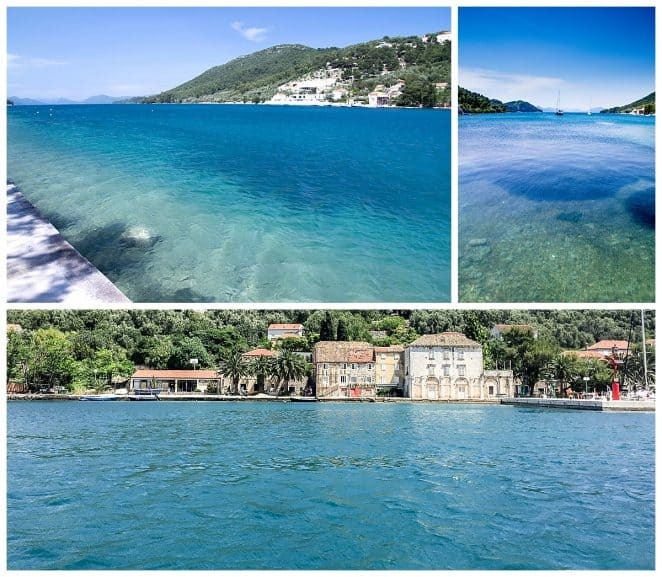 Less than an hour from Dubrovnik Airport, the car-free Lopud island offers plenty of nature and tranquility, while the hotel's spa facilities make it easy to relax. You can go right ahead and book a room over here. The Lafodia Adventure branch offers a number of excursions, of which the Three Islands Cruise is one. Wow! Seems like you had a great time! I dream of doing a sailing trip around the Croatian Islands one day and I want to see Dubrovnik, it looks like the perfect place to wander around and get lost. Have you been there too? Yes – Dubrovnik is somewhere really special. Hauntingly beautiful. The only trouble is that, like central Venice, it can become unbearably overcrowded during the peak season. Yet just minutes away from Dubrovnik lies this beautiful scenery and incredible peace and quiet. I’d love to go back and see more by sea!